A few extra inches of deck can save a lot of mowing time. 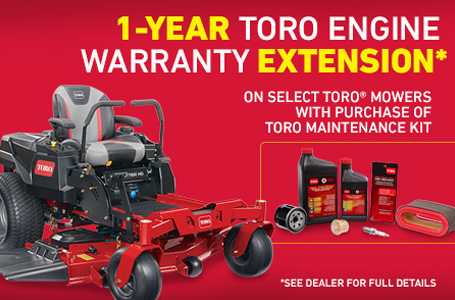 That's exactly what you get with Toro's TurfMaster™ 30" walk-behind mower. It covers more ground in less time than smaller models, yet it's easy to handle. And every component from top to bottom is built for heavy use in rough conditions, from curbs to trailers to multiple operators. It's professional-grade toughness with a professional-quality cut — and a major boost for your productivity. Commercial-grade Kawasaki engine with spin-on oil filter and dual element air filter delivers the power for heavy use. Impact Protection: Steel bullnose front bumper, brush guard and engine guard protect components from damage. 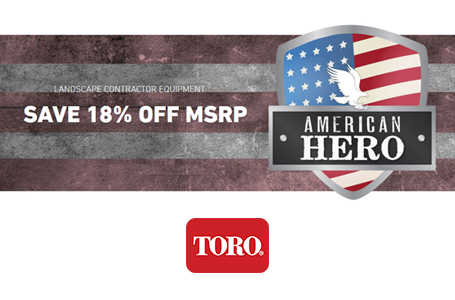 Heavy-Duty Components: Deck skid plates, tough sealed transmission and a strong one-piece handle are designed for the demands of commercial mowing. Commercial Grade Wheels: Tough co-polymer wheels feature precision ball bearings for long life with less downtime and lower replacement costs. 2-Point Height of Cut: Heavy-duty 2-point height of cut (HOC) system makes it easy to adjust deck height. No need to walk around the mower to adjust four different levers. Mulching System: Mulching system minces grass clippings for a "just bagged" appearance without the hassle of clipping collection and disposal. 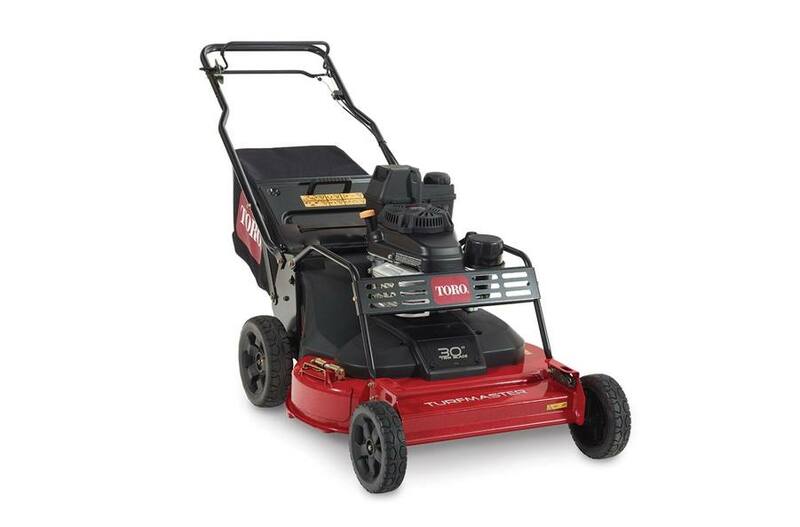 Large 1-Gallon Gas Tank: A larger gas tank means longer mowing time between refueling. Two-Bail Control System: Provides excellent speed control and is easy to operate. Blade Stop System: Allows the operator to disengage the blades without shutting down the engine. Saves time restarting when you have to step away momentarily to move obstacles or empty the bag. 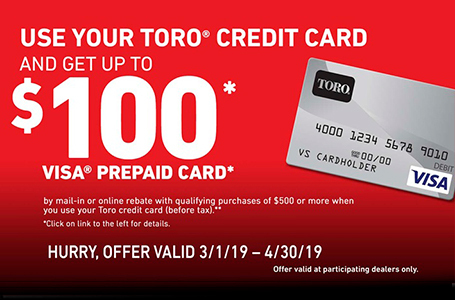 See your Toro dealer for warranty details. Front: 8 in. x 2.25 in. ; Rear: 10 in. x 3 in.